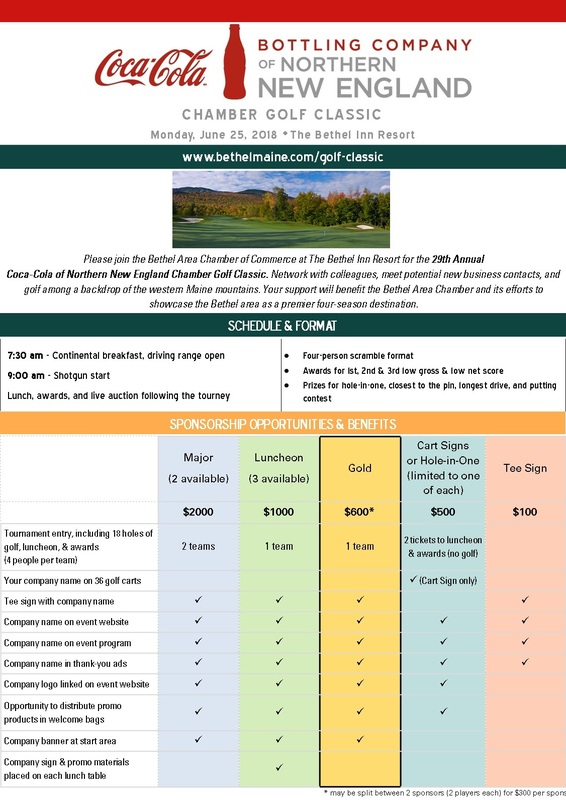 Contact: Robin Zinchuk, 207-824-2282 or robin@bethelmaine.com with any interest in becoming an event sponsor at any level. Event description: This event is the one formal community and business award function of the year. Most of the business and non-profit leaders, as well as many community members, attend this event, so as a sponsor, your company receives quite a bit of exposure. Expected attendance is 200. Event description: This is the Bethel Area Chamber’s largest single fundraising event of the year. The goal is to attract teams of golfers from large and small companies all over New England to network and enjoy a day on the golf course. The funds raised in this event are earmarked for the chamber’s marketing fund. This year’s sponsors so far may be found here. This is the first of Bethel’s summer event season, with arts-oriented events happening throughout the area all weekend. Sponsors who support visual and performing arts as a part of community life and our economy will enjoy being a part of this event. Artist of Honor, TBD. Event description: This is the official homecoming event for the summer in Bethel and is held on and adjacent to the historic Bethel Common. Artists, craftsmen, and community groups set up displays and some sell their products. Musical entertainment is provided on the gazebo and delicious food is provided by food vendors, restaurants, and non-profits. Special events and competitions are held throughout the weekend. Expected attendance 5,000. 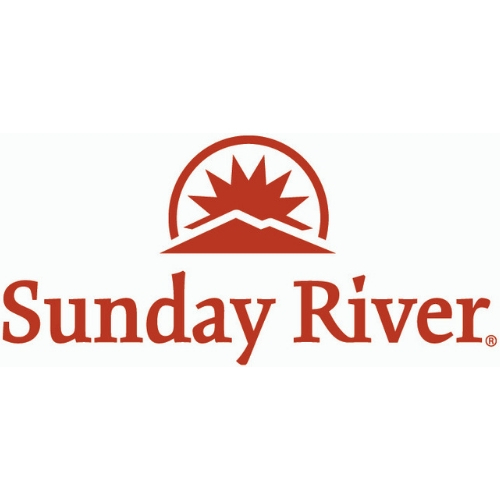 Official Presenting Sponsor $2500 – Mahoosuc Realty & Maine Ski Lodging Co. Parade Sponsors $200 (looking for five) – Brooks Bros, Inc. Your company name & logo on www.mollyockettday.com promoting you as a Parade Sponsor. Event description: This event is a celebration of the harvest and beginning of the foliage season in New England. 50 arts & crafts vendors fill the village common. Music accompanies the event from the gazebo. Free horse-drawn wagon rides are provided and there is a chainsaw carving demonstration ongoing all day. The Chowdah Cook-off features local restaurants competing for the titles of Best Chowdah and is enormously popular, attracting hundreds of hungry tasters. 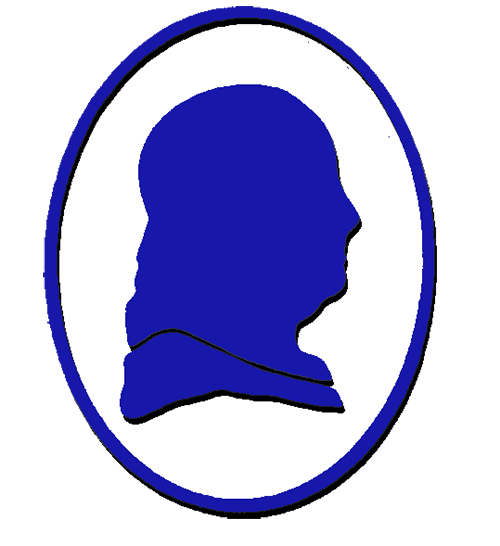 Several Bethel area non-profits also have events that day in locations around the region. Expected attendance 2,500. Your business name and logo on event poster & program. Event description: This event is the annual business meeting & celebration of our board of directors, members of the chamber, and our event sponsors. We celebrate the accomplishments of the past year, recognize all the individuals who helped the organization, recognize outgoing board members, vote in new board members, as well as conduct annual business of the organization. Estimated attendance 100. All chamber members and sponsors receive an invitation. Event description: This event is held on the infamous “Black Friday” when shoppers are hunting for “just the right something.” 40 vendors fill the The Bethel Inn Resort’s Conference Center and hundreds of shoppers (many who come down from Sunday River to attend the event) will see your company banner. A portion of the proceeds of this event go to fund the horse-drawn wagon rides provided this day, Friday, Nov. 29th, and Saturdays, Dec. 7, 14, and 21 in the village during the holiday season. A banner (provided by you) prominently displayed on the horse-drawn wagon which runs throughout the village on Saturdays. A standalone event listing on chamber’s website. Mention in Country Christmas in Bethel event listing. Recognition in the chamber e-notice. Any company who would like to partner with the chamber to help to support this event is encouraged to contact us. The Bethel Area Chamber of Commerce is a 501(c)6 corporation, therefore your sponsorship may be deductible as a business marketing expense.